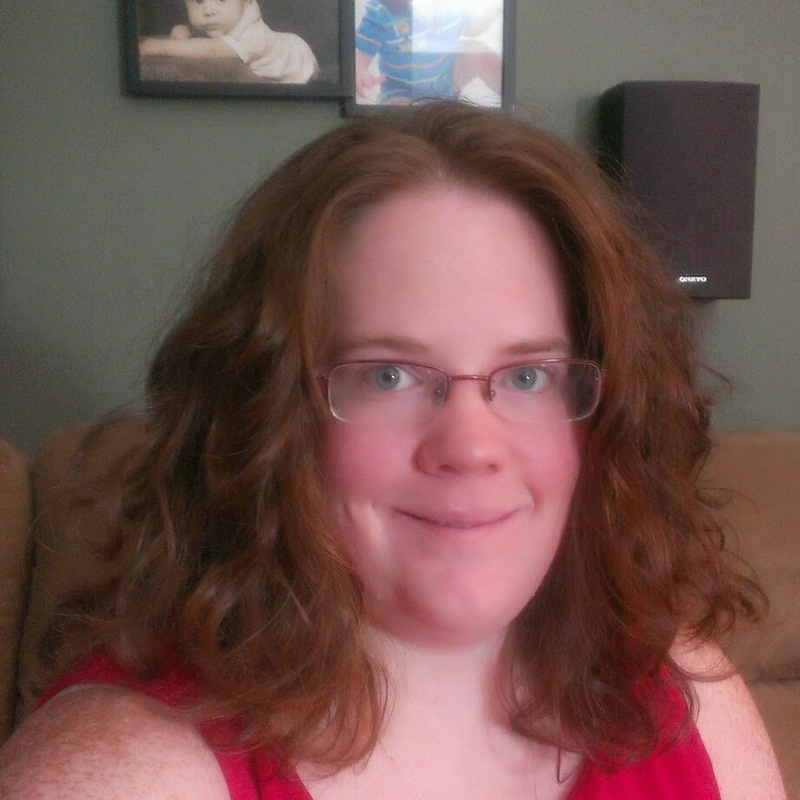 This past weekend Jon and I worked on getting the playroom cleaned and ready for Michael. We had some leaking pipes down there about a year ago and had a good bit of the drywall cut out. Well, plumbing got finalized, the drywall got patched back up, and room was repainted. With all that work being done, all of the toys down there got really dusty. I hand cleaned all the larger toys, but really was not looking forward to cleaning all the small toys. 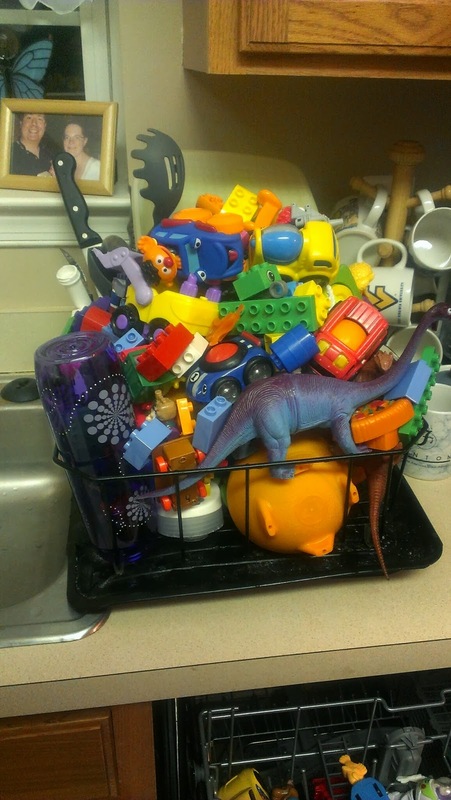 I had seen somewhere about cleaning toys in the dishwasher so, I decided I would try. I had washed Michael's baby teething toys and pacifiers in the dishwasher and they came out fine so, why not regular toys? I made sure that there wasn't any toys that played music or had anything that might not do well in the dishwasher. All the larger toys, mostly larger cars, were put on the bottom shelf. I also put all the Lego Duplo parts in the utensils holders as well as anything else that's small. The top shelf held everything else. I put the regular detergent that I use with my dishes as well as the rinse aid. Set it to a normal wash and also used the sanitize option. Everything came out nice and clean. Didn't see any problems with the toys. Some had some water in them so, I put them in the drained and on a towel for them to dry. 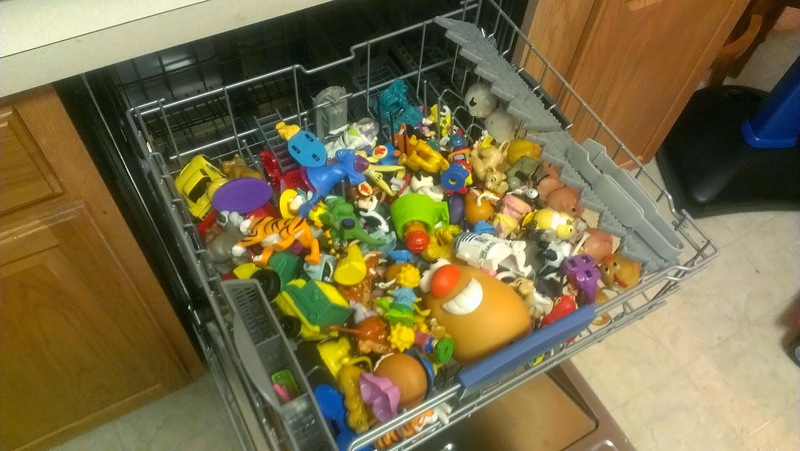 So, next time you have a lot of toys to clean, save yourself time and load up your dishwasher! We used to have to wash EVERY toy in our class room EVERY week! That's A LOT of Legos! LOL I was ever so thankful for the dish washer at the school! I hear ya. I saw somewhere that for regular Legos, you can put them in a mesh bag and wash them in the washing machine. I love having a dishwasher. When Michael was taking bottles and I would go home to visit mom, I missed the dishwasher. Washing Michael's bottle in the dishwasher is what killed our dishwasher - it wasn't used to be run every day. Sometimes twice a day!